My new role at the World Bank will provide me with a unique chance to learn about the thing that fascinates me most – producing knowledge that is useful in the sense that it yields benefits on the scale of billions of people. 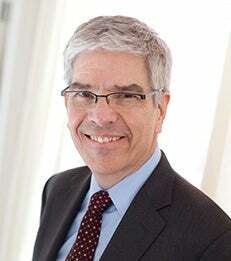 The NYU Stern School of Business today announced that Professor of Economics Paul Romer has been selected by the World Bank to become its next Chief Economist. Romer is currently the Director of the NYU Marron Institute of Urban Management, University Professor, and the Founding Director of the NYU Stern Urbanization Project. Romer joins a distinguished roster of economists who have served the World Bank in this capacity, including Stanley Fischer, Lawrence Summers, and Joseph Stiglitz. Romer’s work on long-run growth fueled his belief that people can achieve enormous economic gains from interaction and collaboration, and that nowhere is this potential more evident than in the world’s thriving cities. Romer’s focus on the collaborative potential of cities led him to found the NYU Stern Urbanization Project in 2011. At the University level, Romer directs the NYU Marron Institute of Urban Management. The Marron Institute deepens the fundamental understanding of cities by working with civic innovators to improve urban management—making cities safer, healthier, and more mobile and inclusive.